Editing photos with programs such as Photoshop can make them look amazing. But these type of applications are quite complicated, and it takes a long time to learn how to use them. That’s why the creators of iPiccy decided to make their program easy to use. However, that doesn’t mean that it isn’t powerful; the program has a complete set of features you can use to make your pics look amazing. You can even use the auto-adjust option to make things automatic, or resize, crop and rotate as many images as you need. There are over 100 photo effects and enhancements you can select, including all sorts of facial retouching and frames. Want to create a collage? That is also possible! With numerous templates and adjustments, designing your collage is fun and straightforward. Pick your favorite background color, size, cell roundness, and template and build a masterpiece in the blink of an eye. The program also includes a graphic designer that lets you add text, overlays, stickers, vector masks and effects for any purpose. 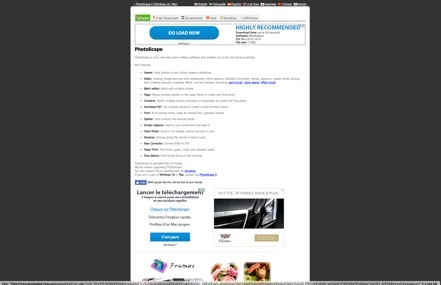 We found iPiccy to be perfect for both novice and advanced users, but if want to test other alternatives there are many excellent photo editing sites like iPiccy; these are some of the best ones we found. You don’t need to be a professional to create beautiful social media graphics, photos, logos or social media graphics. All this is possible with the help of PicMonkey, an easy but powerful photo and graphics editing and design software. 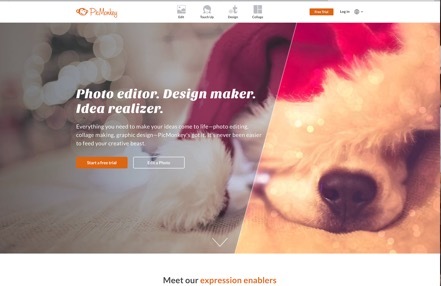 It is similar to iPiccy and has everything you need for making ideas come to life. Photo editing, collage making, and graphic design are possible through a straightforward interface. Using a comprehensive catalog of templates, you can design Christmas cards, wedding invitations, announcements, thank you and business cards, and more. The site is very popular, visited by millions of users each month, and has been ranked by PC Magazine as a Top 100 Website. You can choose between a monthly or annual plan to edit and re-edit your pics and share them on social media, and there is a 7-day trial, so you can test out all the tools free of charge. For anyone who is searching for the best photo editor like iPiccy but needs something easy to use, Stencil is a great alternative. 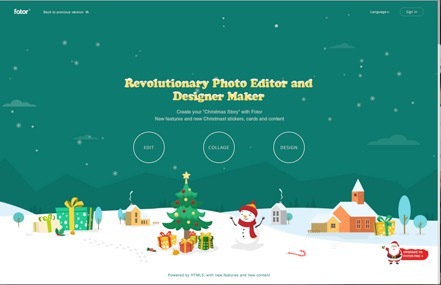 It offers ridiculously simple image creation for small businesses, social media marketers, and bloggers. Even if you’ve never used a program for editing images, you can learn how to use Stencil in a few minutes and achieve designer quality results in a fraction of the time. Visual content is 40 times more likely to be shared on Facebook and other social media websites, so using a software like Stencil can make it easier to access thousands of people. 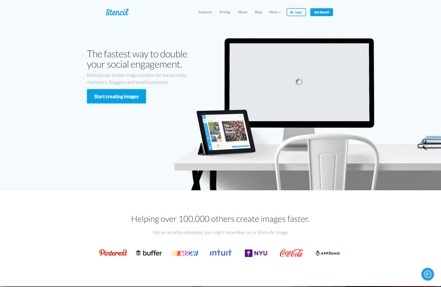 You can use the tool for free and save, download or share ten images per month. If you need more than that, a Pro plan will up this amount to 50 images, and an Unlimited membership will let you work with as many pictures as you wish. Cancel anytime; there are no long-term commitments, but we’re sure you’ll like this site. This iPiccy alternative is a free online photo editing site which caters to all your image and photographic creation needs. Your work can be saved in the cloud so you can access and continue editing anywhere. Its advanced HTML5 technology means improved performance and faster speed, and there are thousands of beautiful templates to fill any design needs. Some of the photo editing tools you have here are color, size and light adjustments, filters and effects, portrait retouching, highlighting, radiance, and much more. If you need some guidance, there are plenty of tutorials and guides at your disposal. For working on the go, download the Android or iOS apps and work on your mobile device. You can open a free account and work with some essential features, but upgrading to an F0tor Pro membership will open up many other tools and effects, and removes all the ads from the site. Polarr is not merely photo editing; it is smart photo editing. 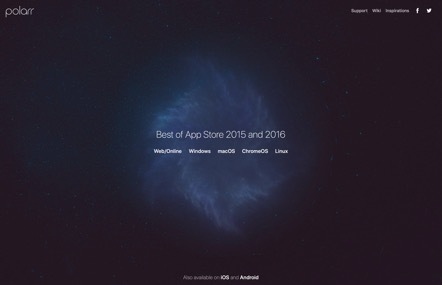 Created as an AI startup, it has been ranked as the Best Of App Store for 2015 and 2016. It has a huge fan base and is used by over 10 million people, and you can do anything from skin retouching and text editing to film simulations, with detailed guidance on their Wiki page. Many of the tools are automatic; for example, the auto enhance decides the best color and lighting adjustments for your pic, and the dehaze and denoise tools make your photos much clearer, with no artifacts created. You can try out the free version, but a Pro membership lets you access over 100 filters and many masks, text tools, and batch exporting and resizing. Payment can be made with PayPal or any credit card, and any future upgrades are included in your membership; there are no hidden fees or extra charges. Gimp is a website like iPiccy that lets you retouch, edit, free-form draw and convert between different image formats. Available for Linux, Windows, and macOS, it is a free and open source. This makes it ideal for advanced users who can change its source code to customize it and make it exactly what they want. Gimp is very versatile, and you have many tools to help you work with any image file you have, be it in TIFF, GIF, TGA, PCX, or many other formats. Although the program is simple to use, there are many tutorials you can read on the site, from beginner to advanced. Learning basic color curves, digital b&w conversion, and tone mapping are some topics that are explained in detail, and with lots of examples. 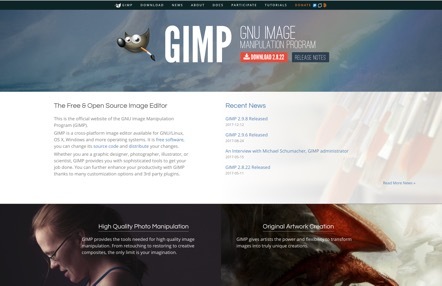 For version releases and general Gimp related info, visit the News page and keep up to date. Fixing and enhancing photos is made possible thanks to this other good editing site like iPiccy. You can convert from RAW to JPG, splice images into many pieces, capture and save screenshots, and even create an animated GID using multiple photos. With the editor, you can alter the appearance of a picture, and this can also be done in batch mode in case you have many to go through. Visit the Help page to see how to use these and other features the program includes. It is regularly upgraded, and best of all, is entirely free to use, both on Windows and Mac platforms.